Through this modernization, Machinex says they installed state-of-the-art equipment into an existing system. A ballistic separator now allows separation of packaging from mixed paper and two optical sorting units have been installed. One of these is sorting contaminants out of the mixed paper, while the other separates plastics in three categories: PET, HDPE and mixed. The system's old OCC separator has been replaced by a new generation model which reduces the wrapping of the plastics around the components. 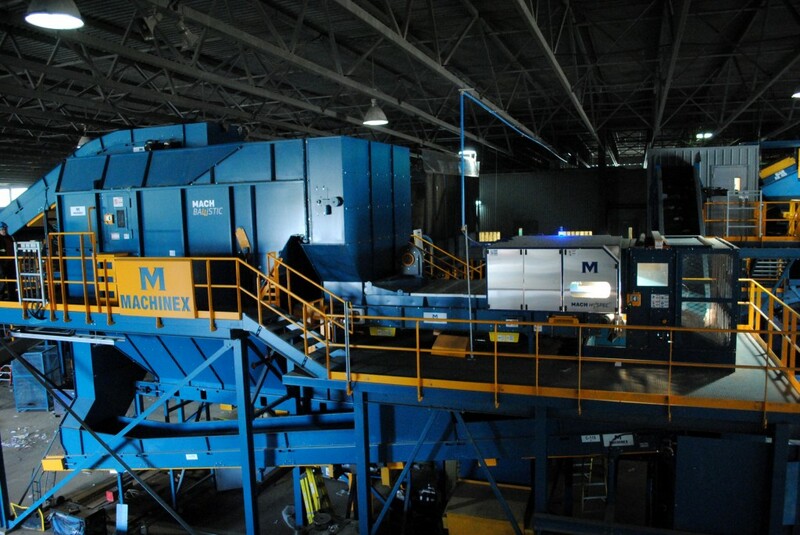 Additionally, most of the glass fragments are removed at the beginning of the sorting line, thanks to the addition of a glass separator, while an Eddy current separator built by Machinex removes the can of aluminum. "We are very proud to have realized this project of modernization at Recuperation Mauricie, because it is a long-time customer for Machinex with whom we built a relationship of trust," commented Pierre Paré, CEO of Machinex. "The added high technologies will allow Récupération Mauricie to increase its productivity, but especially to improve the quality of its products." "Récupération Mauricie is very satisfied and even impressed by the professionalism and by the skill of the team Machinex,' said Daniel Cassivi, managing director of the Group RCM and Récupération Mauricie. "Throughout the project, we felt that people at Machinex were in control of the situation, which was confirmed by the resumption of the activities without delay according to the initial planning. A positive experience at every level. After only one week of operation, the upgraded system can produce a quality fiber good enough to sell to China, according to one of our brokers. "